One way we've found to help keep alive traditional ethnic arts is by finding contemporary applications for the artisans' work. The accessories section of the website reflects our commitment to finding products that lots of women can make, and that customers will find affordable and useful. 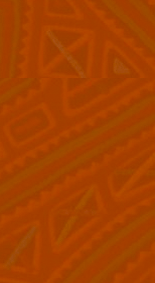 The wallets, coin purses, glasses cases and hand bags showcase typical motifs and materials of several cultures - Palestine, Egypt, South Africa, Ghana, the Southeast Asian hill tribes, India, Phillipines, Guatemala, Bolivia and Panama, among them. But ethnic art isn’t static; it evolves constantly. The innovative uses of recycled materials never cease to amaze. From subway maps to soda cans, artisans envision possibilities in trash, far beyond our imaginations. Our sources are varied. We buy from several artisan cooperatives and economic development projects, working in refugee camps. 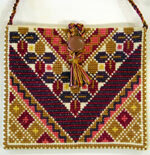 We also buy many accessories from fair trade wholesalers, small companies that have worked in countries for decades. These wholesalers specialize in incorporating traditional arts into products for contemporary use, such as wallets, coin purses and glasses cases. The accessories on the website are among the most consistently sought out by customers at Crossroads Trade's retail store. They are designed for hard use as well as beauty.